Botox has a bad rap. Unfortunately, when most people think of Botox, they think of share or some other woman that has ebbed away from her real face and now looks like a tapestry of age treating projects gone-wrong. 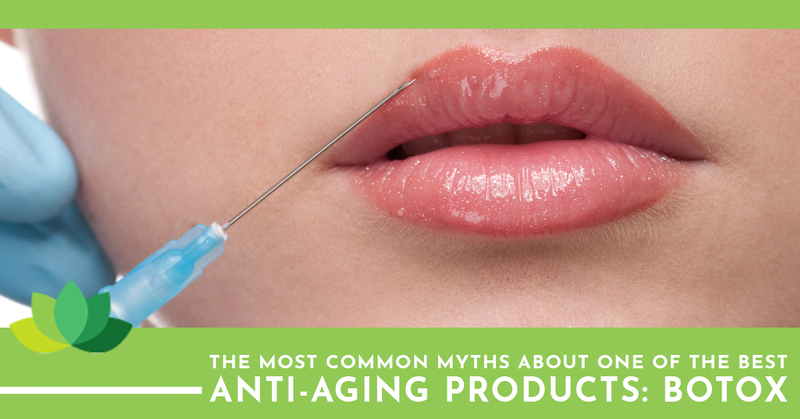 There are a litany of myths that surround Botox and make people blink when you proclaimed you’ve had it. But you don’t need to second guess yourself, because Botox works and the truth is, it’s barely visible. Many women are concerned that once they get a botox treatment they won’t be able to move their face. However, this isn’t the case. You won’t look frozen or expressionless unless you overdose on Botox unit injections. A highly experienced and certified doctor like Dr. Bronfman will know exactly how many Botox injection units you need and won’t apply more treatments than what you require. The Botox chemical is capable of reducing muscle activity, but it should never render your features “frozen” or anything similar. When your skin starts to crease and fold, the origin of those wrinkles and the composition of them make up how permanent they are. There are actually two kinds of wrinkles. There’s dynamic wrinkles that are developed from various muscular movements within your features and then there are static wrinkles. Static wrinkles are a result of aging and are a result of both sun exposure and loss of collagen in your skin. Botox treats both, but it mainly treats dynamic wrinkles by relaxing the muscles of your face. Static wrinkles may make minor improvements after Botox, but we recommend fillers and other aesthetic treatments to assist with those lines and creases instead. Many folks picture Botox like getting fake eyelash extensions. Essentially, you’ll never be able to not be wearing them again. Thus, if you start botox, you’ll immediately start looking older if you ever feel the need to stop the treatments. If you decide to stop treatment, it’ll slowly run out of your system and the wrinkles will eventually return to their regular state and get gradually worse as you age, but it’s not an overnight thing, or an instance of missing one appointment will suddenly make all of your wrinkles more visible. If you’re considering investing in Botox treatments, you shouldn’t worry about the pain. They’re actually referred to jokingly as the “lunchtime procedure” because it’s quick, easy, and requires zero downtime. The needles are very fine and the procedure is preceded by a numbing cream so you’re unlikely to feel much, but if you do, it’ll be a mild and barely noticeable sting that might feel closer to a phantom itch than anything distressing. There’s nothing to be afraid of in regard to Botox — only the possibility of a better you that’s more confident and worrying less about your wrinkles and appearance. Reach out to Dr. Bronfman Beauty in Manhattan to schedule your professional Botox treatment today.